"Searching" by Isaiah Johnson is the winner of the 2016 Grays Harbor Shorebird Festival Poster Contest. The artist, Isaiah Johnson, is now ten years old and in the fifth grade. He is attending Cosmopolis Elementary School and enjoys robotics technology and PE. In his drawing, he wanted to show a mother and baby shorebird looking for food in the mudflats together, so he titled his piece "Searching." He used mixed media including colored pencils, watercolor pencils, and some paint to create it. Last year, he really enjoyed the ceremony at the Festival. He is still continuing to draw, and most often likes to draw dragons. After school, he can be found practicing his flips and acrobatics on his family's trampoline. 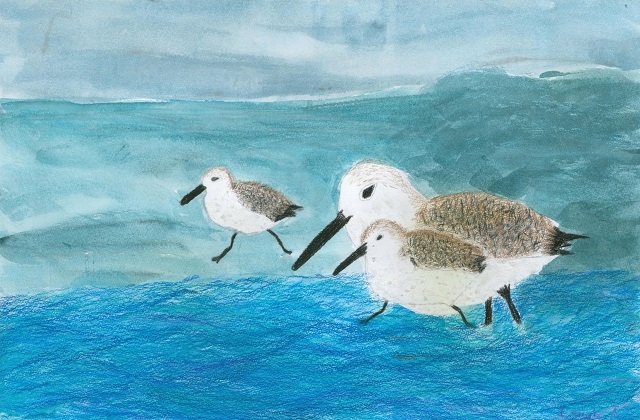 Grays Harbor County students, grades 1-6, design Shorebird Festival Posters for competition. Five judges select from each grade a 1st-3rd place and two honorable mention winners. A "Best of Show" is chosen from among the first place winners in each grade. All winning posters are displayed and awards are given during the Shorebird Festival. Everyone is welcome to attend the Poster Contest Awards Ceremony held at Hoquiam High School on Saturday May 7, 2016 starting at 11am. 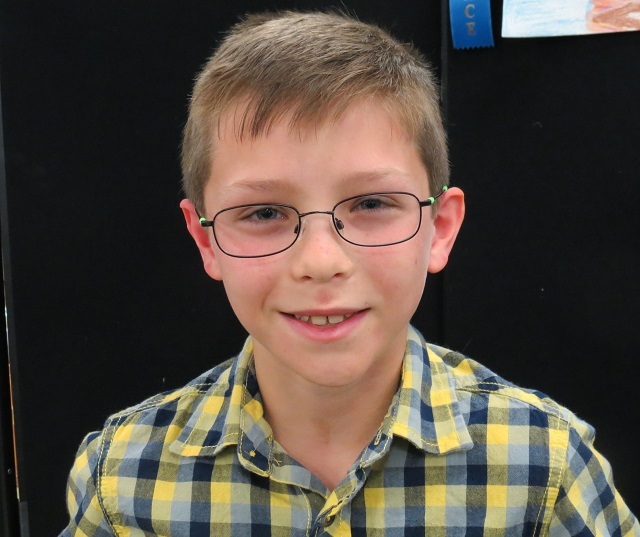 Congratulations to Tieander Olson of Beacon Elementary School. 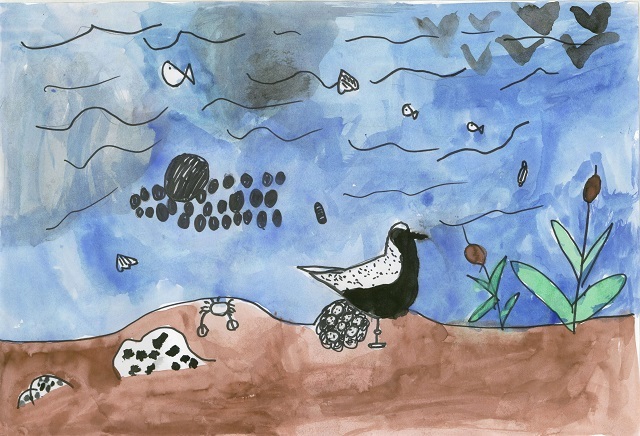 Her picture of a Black-bellied Plover entitled "The Bird That Was Lost" won first place for first grade. Congratulations to Lily Leonard of Lincoln Elementary School in Hoquiam. 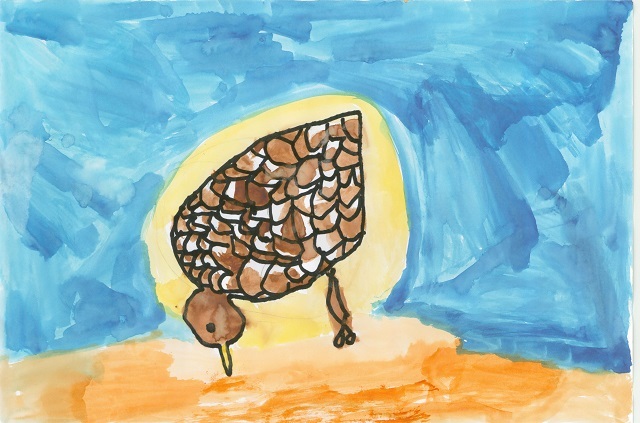 Her picture of a Short-billed Dowitcher entitled "An Eating Bird" won first place for second grade. Congratulations to Brayden Howe of Cosmopolis Elementary School. 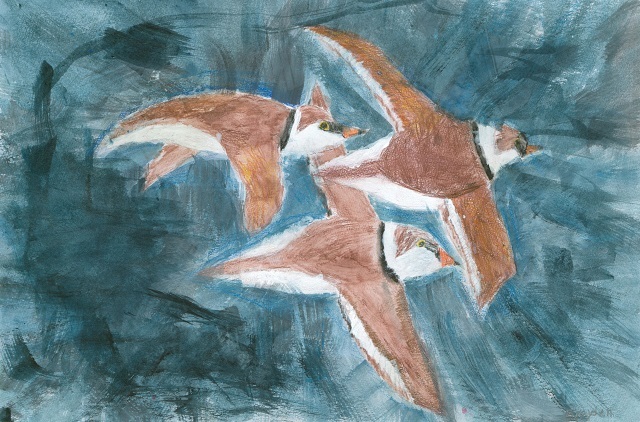 His picture of Semi-palmated Plovers entitled "Birds in a Storm" won first place for third grade. Congratulations to Isaiah Johnson of Cosmopolis Elementary School. His mixed medium art of Sanderlings entitled "Searching" won first place for fourth grade and Best in Show. Congratulations to Kaleb Maurer of St. Mary's School in Aberdeen. 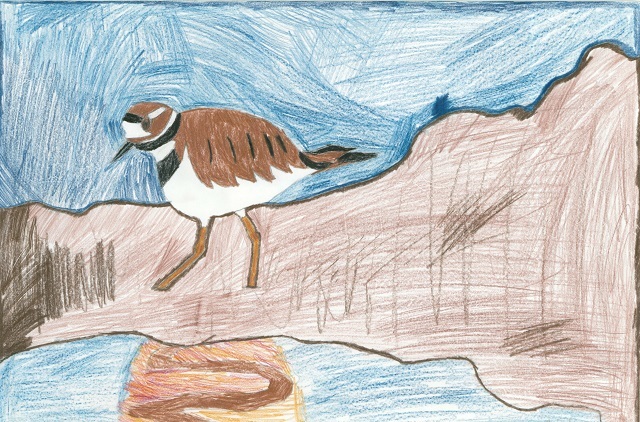 His picture of a Killder entitled "Little Bird" won first place for fifth grade. Congratulations to Austin Wakefield of A.J. West Elementary School in Aberdeen. 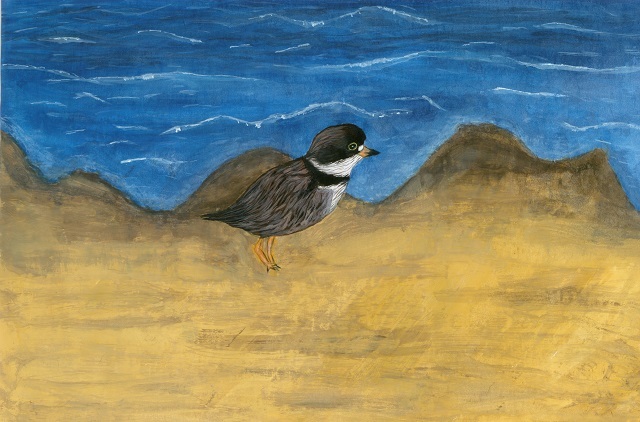 Her picture of Semi-palmated Plover entitled "Semi-palmated Plover" won first place for sixth grade.